Eps Inc. dba Express Plumbing is a Bay Area underground boring contractor in San Mateo, CA. 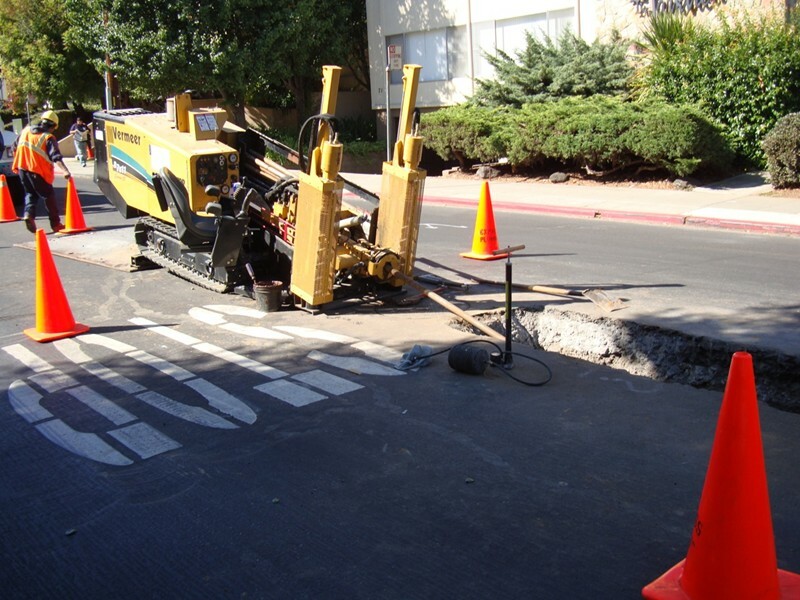 Our directional drilling services are relied upon across the entire San Francisco Bay. We specialize in horizontal boring and directional drilling services such as pipe reaming and pipe ramming capabilities. EPS Inc. Engineering Perfect Systems is an incorporated civil engineering company that opened for business in 1992 specifically to address the needs of owners and engineers faced with difficult and complex light and heavy engineering projects. We work closely with design engineers and owners on jobs where the risk is high, the timing is critical, and the success and safety of the work depend primarily on pre-planning and pre-engineering. Clients recognize us as a dedicated group of project managers, superintendents, engineers, and craftsmen focused on helping them complete jobs in a cost effective manner. Our goal is this: to have satisfied clients recommend us as the best civil engineering company in Northern California. Underground lines and conduit can be installed using HDD (Horizontal Directional Drilling). This process uses drilling technology to bore a small hole from one location to the next. Once the drill rod comes to the end of the bore the new pipe is attached and pulled back eliminating open excavation. This technology can be used to install lines and conduit under roads, railroads, ponds, lakes, streams, industrial buildings, etc. without the impact of open excavation. Express Plumbing utilizes a trenchless method for the removal of existing VCP & PVC pipe and simultaneous replacement with an HDPE or PVC pipe of equal or larger diameter. Removal of the in-place pipe is accomplished by “back reaming” using a directional drilling machine with a cutter head that reduces the existing pipe to small pieces which are carried along with other excess particles by the drilling fluid to an extraction point. This method is used in place of pipe-bursting. It does not compress the solid and can be used for greater up-sizing. A method of installing steel pipes and casings over distances usually up to 150 ft up long and up to 55-inches in diameter, although the method can be used for much longer and larger installations. The method is the most useful for shallow installations under railways and roads, where other trenchless methods could cause surface settlement or heave. The majority of installations are horizontal, although the method can be applied for vertical installations as well. When the Bay Area is in need of a general horizontal boring & drilling contractor to handle all the commercial and municipal plumbing services, Express plumbing is the #1 referred and preferred general contractors. A full service plumbing and general contractor company in San Mateo CA. All our services are provided to not only meet but exceed industry standards and regulations. We invite you to read more about our company and wide range of plumbing services and contact us for a complimentary estimate for all your Bay Area drilling & plumbing needs. If you’re looking for a Northern California Boring contractor that’s not (boring), but experienced and innovative, you’re in the right place, partner with our drilling services division and let us show you what our crew can do.